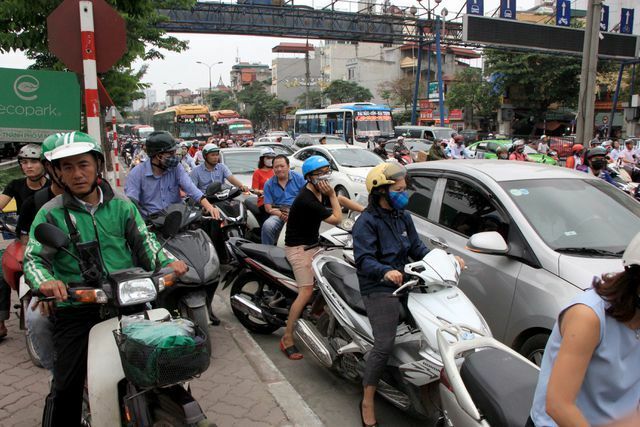 Thousands of people left Hanoi on Friday afternoon, causing huge congestion on many roads leading to bus stations or neigbouring provinces. 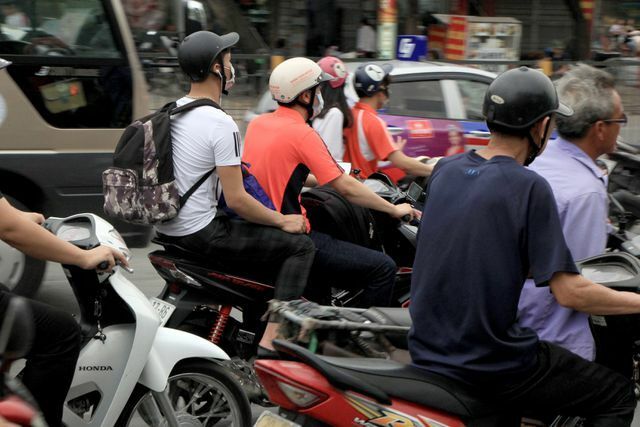 The three day-holiday on Saturday, Sunday and Monday marks the Hung Kings Festival which falls on Sunday. 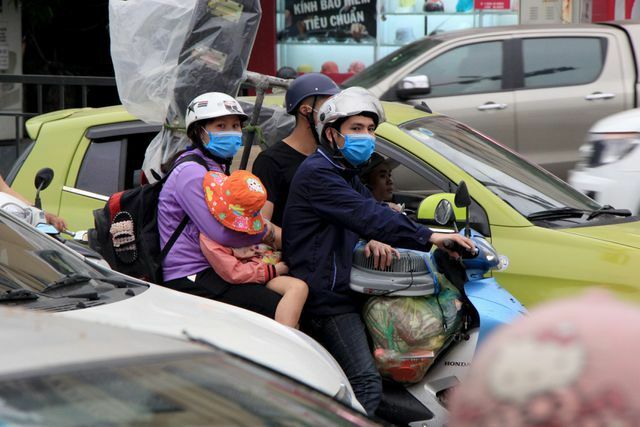 On Friday late afternoon, some streets leading to the southern provinces of Nam Dinh, Ninh Binh including Giai Phong, Ngoc Hoi, Nguyen Huu Tho saw an enormous number of motorbikes and cars loaded with luggage as people left the capital for their hometowns for the holiday. 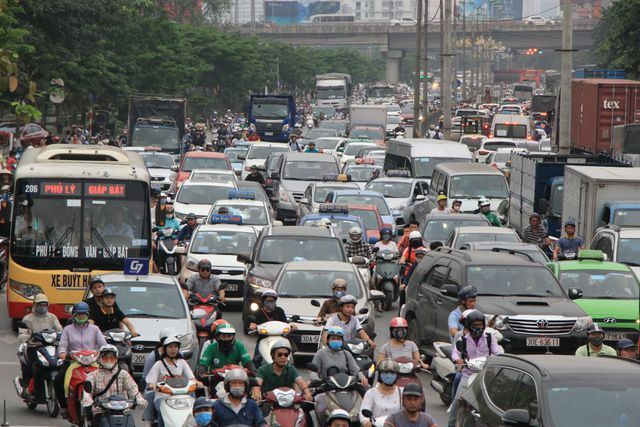 At 5.30pm, Ngoc Hoi Street which leads to Nuoc Ngam Bus Station and National Road 1A was jammed with vehicles. 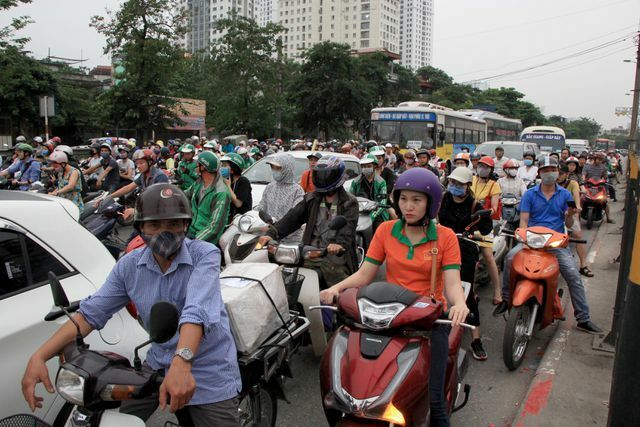 Giai Phong, Giap Bat streets were extremely crowded since early Friday afternoon. 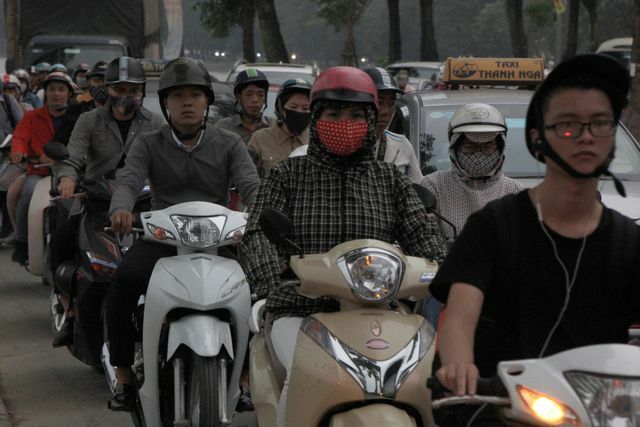 Many people travelled by motorbikes. 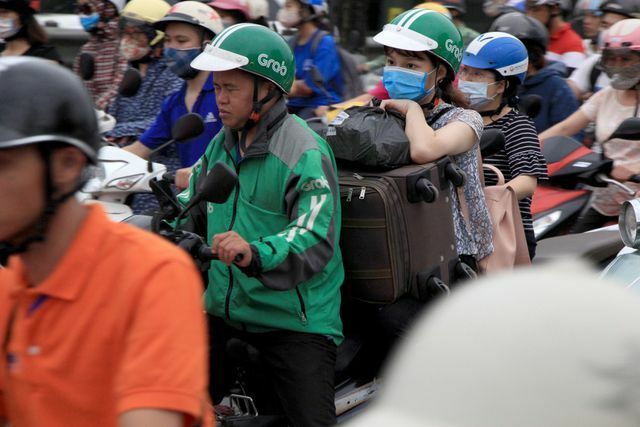 A family with three people and lots of luggage on their motorbike were stuck in a congestion on Giai Phong Street. 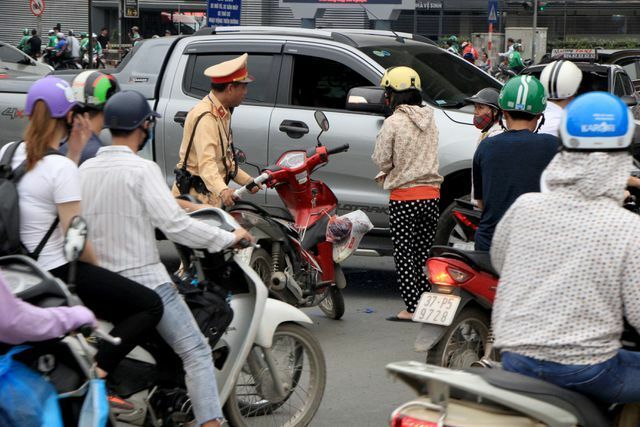 A traffic policeman dealt with a collision between a car and a motorbike on Giai Phong Street. 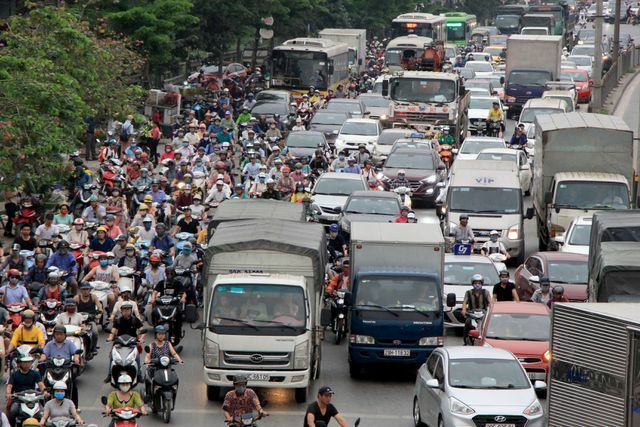 The long traffic jam extended to National Road 1A in the outskirts districts of Thuong Tin and Thanh Tri.